It would take more than one thousand years to restore all the U.S. bodies of water currently polluted by agricultural runoff and other forms of indirect water contamination, a government report found. The year-and-a-half long investigation by the Government Accountability Office concluded that “progress toward the Clean Water Act’s goals of restoring and maintaining” the “biological integrity” of the nation’s waters has stalled because nonpoint-source pollution, or pollution from diffuse sources such as runoff and seepage, has not been controlled. The Government Accountability Office serves as a federal watchdog and investigates issues on Congress’s request. It released its report, “Changes Needed If Key EPA Program Is to Help Fulfill the Nation’s Water Quality Goals,” late last year, shortly before the passage of the new Farm Bill that offers millions in conservation incentives to farmers. Runoff from agricultural land can can carry contaminates such as nutrients, sediments, salts and pathogens into nearby water bodies. The National Water Quality Inventory to Congress has historically cited agricultural nonpoint-source pollution as the leading cause of impairment for rivers and lakes. The National Water Quality Inventory also informs Congress and the public about widespread water quality problems. The inventory has regularly placed agricultural nonpoint-source pollution as the leading cause of water problems for rivers and lakes and the second leading cause of problems for wetlands. It has also routinely listed agricultural nonpoint-source pollution as a top contaminator of estuaries and ground water. Even so, the Clean Water Act of 1972 mostly regulates industrial sources of pollution and neglects agricultural runoff. The oversight has some environmental advocates saying changes need to be made to avoid further contamination of U.S. waters. “The Clean Water Act does not directly regulate the vast majority of pollution discharges from crop production, because it exempts from pollution permitting both agricultural storm water and flow back from field irrigation, and because a bunch of different agricultural activities do not typically need permits even when they discharge dirt or other solids into protected waters,” said John Devine, a senior attorney for the Natural Resources Defense Council’s water program. Braden said that any regulation changes are doubtful. “Gridlock seems to be the rule of the day, and certainly there are strong forces that are not sympathetic to increased regulation,” Braden said. 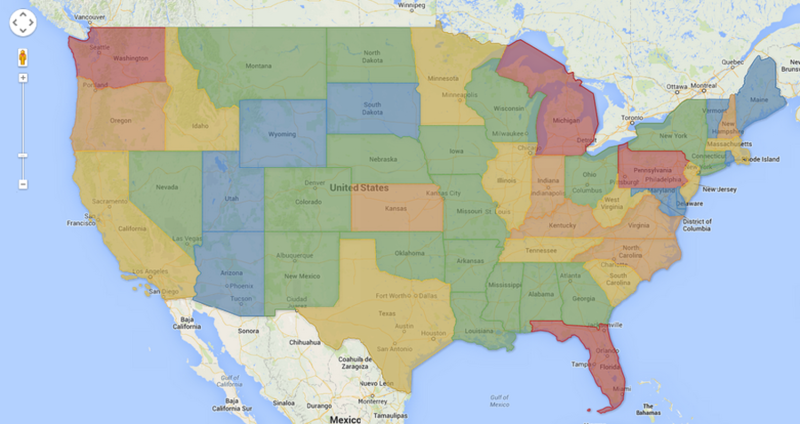 Map: which states have the most water bodies in danger? This map shows a count of each state's "impaired waters." Under the federal Clean Water Act, impaired waters are rivers, lakes or streams that do not meet one or more water-quality standards and are considered too polluted for their intended uses. Zoom in and out with the bar on the left. Click on a state to see an exact count of impaired waters. Grazing, plowing, pesticide spraying, irrigation, fertilizing, planting and harvesting are just some of the common agricultural activities that result in notable amounts of polluted runoff. Ever-growing concentrated animal feeding operations, which house thousands of livestock animals in confined spaces, have also been added to that list within the last couple decades. Contaminants that result from those activities include sediments, nutrients, pathogens, pesticides and salts, all of which can hinder the wellbeing of water ecosystems. “Some places like the Gulf of Mexico and the Chesapeake Bay have been smacked really hard by increased fertilizer use and manure generation,” Braden said. Nitrogen is a “persistent” and “durable” plant nutrient found in fertilizers that help make crops grow, Braden said, adding that it is also found in animal waste. Numerous negative consequences arise when large amount of nitrogen are carried into water ecosystems by either rain or irrigation. Increased algae growth is one repercussion, Braden said. 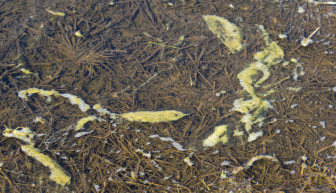 Unbalanced algae growth can lead to decreased oxygen levels in a water body, killing plants and animals in the process. Too much nitrogen in water bodies used for human drinking water can also be dangerous, according to the U.S. Geological Survey. Nitrogen is a nutrient used to fertilized crops and is also found in manure. Agricultural runoff can carry nitrogen into bodies and water, in turn causing their nitrogen levels to become dangerously high. When nitrogen levels are high, algae growth is stimulated and oxygen levels are decreased. Water with high nitrogen levels can also pose threats to humans. Excessive nitrogen restricts oxygen movement throughout the bloodstream. When infants younger than five months are exposed to water with high nitrogen levels, they may develop the circulation problem known as “blue baby syndrome.” Infants with blue baby syndrome develop a blue-tinted skin color and become lethargic. The syndrome can lead to coma and death when not treated. In places throughout Eastern Europe where groundwater has been contaminated by high nitrogen levels, authorities distribute water bottles to women and young children to avoid such medical hazards. Braden said these primary consequences may have additional effects, as well. Safety officials could ban water activities, such as swimming and boating. If too many plants and animals die because of over-algae growth, fishing industries could suffer. Contaminates from agricultural runoff have also been shown to change the hormonal neutrality of a water body. A Wisconsin Center for Investigative Journalism investigation revealed that manure was a possible source for endocrine-disrupting chemicals found in half of 40 wells in northeastern Wisconsin. “You get changes in the whole ecosystem as a result of these nutrient imbalances,” Braden said. Some critics are quick to use these and other examples as evidence to label the agricultural industry as irresponsible. However, Braden said criticism is unfair because farmers and agricultural producers are caught in the middle of a supply and demand dilemma. Earlier this month, the U.S. Department of Agriculture announced that farmers will plant more soybeans in 2014 than ever before. It also announced that the United States will export more meat to China than ever before. Sophia Kruszewski, a policy specialist with the National Sustainable Agriculture Coalition, said that societal trends may be reversing that demand dilemma, though. Agricultural runoff can devastate a water ecosystem, and have secondary and tertiary effects, as well. 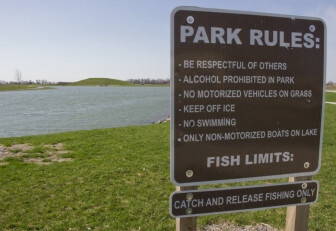 According to the Government Accountability Office report, more than half of the lakes and rivers in the United States that are assessed by the Environmental Protection Agency do not meet designated-use standards for activities such as swimming or fishing. The National Sustainable Agriculture Coalition is a group of farming organizations dedicated to advancing the sustainability of agriculture, food systems, natural resources and rural communities. Farms and agricultural producers from throughout the country are among its many members. Kruszewski said that the new Farm Bill enacted in February presents opportunities to better manage agricultural runoff and nonpoint-source pollution from a policy perspective. Under the new bill’s regional conservation partnership program, farmers and ranchers are encouraged to work with the Natural Resources Conservation Service to make their farms more sustainable. If a farmer or rancher partners with the conservation service, the agency will help install and maintain sustainable agriculture methods with the hope of preventing additional soil erosion or water contamination. Congressional Budget Office projections show that U.S. conservation programs will receive more than $57 billion dollars throughout the next decade. Braden, who last year wrote an essay on innovative ways to address nonpoint-source pollution, said that incentivizing farmers for employing more sustainable methods through tax credits could also be effective. While runoff from agricultural areas is a major problem, so is runoff from very urbanized areas. 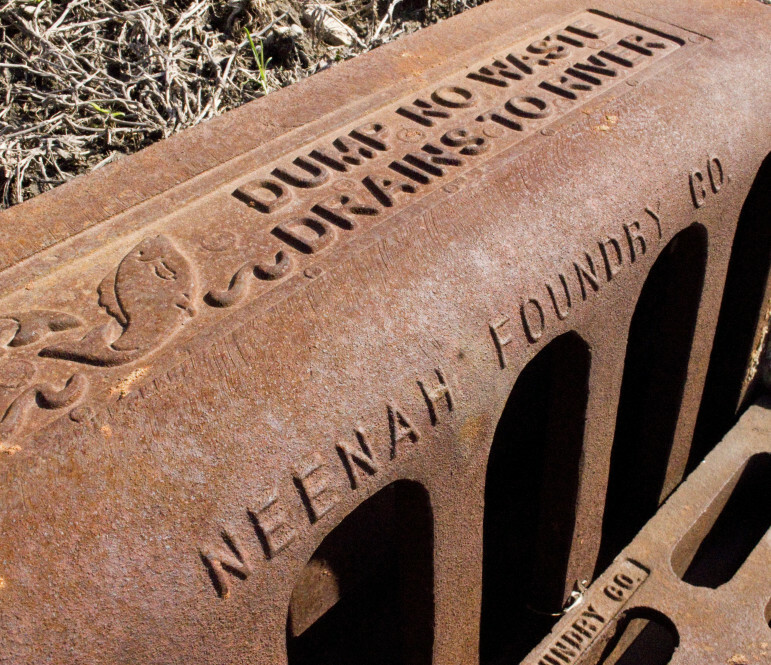 In many cities, storm drains eventually lead to nearby water bodies. 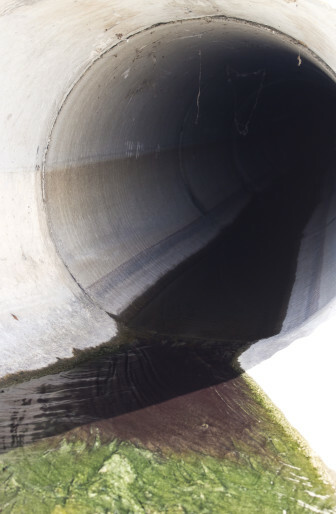 When it rains, those drains transport salts, chemicals and other contaminates. To discourage direct waste dumping, this drain states: "Dump no waste. Drains into river." The December Government Accountability Office report analyzed nonpoint-source pollution by examining state and national pollution goals, which are known as “total maximum daily load” targets. The Environmental Protection Agency and individual states each are responsible for developing and implementing total maximum daily load pollution targets for specific bodies of water that are negatively impaired by chemical, physical and biological stressors. EPA officials then oversee statewide efforts to ensure that those targets are being met. Between 1996 and August of last year, more than 50,000 targets were identified and established in the United States, according to the accountability office report. A review of those targets shows that nearly one out of every four targets involves pathogens, such as bacteria from animal feces. While nonpoint-source pollution includes agricultural runoff and other forms of diffuse water pollution, point-source pollution is much more direct. An industrial pipe, a single point, sending contaminants into a lake is an example of point-source pollution. About one out of every five targets involves either nutrients or sediments. 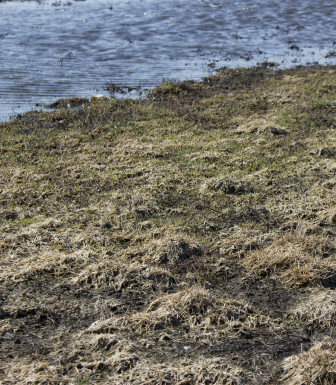 “[Sediments] makes the water muddy and it causes sediment buildup on the bottom that then has the effect of reducing habitat,” John Braden, a former agriculture-department professor at the University of Illinois at Urbana-Champaign, said. More than half of the targets are for bodies of water that have been negatively affected by nonpoint-source pollution. Another 41 percent are for bodies of water that have been negatively affected by both point-source pollution and nonpoint-source pollution. Unlike nonpoint-source pollution and runoff, point-source pollution comes from a single point, such as a waste pipe. Just 5 percent of targets address point source pollution. The EPA has assessed 18 million acres of lakes and more than 940,000 miles of rivers, according to the accountability office report. The majority of those assessed water bodies do not meet designated-use standards for simple activities such as fishing, swimming or drinking.